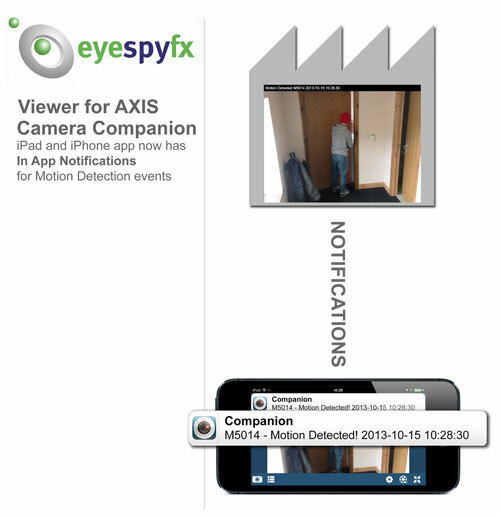 In App Notification’s based on Motion Detection events are now available as an In App Purchase from within Viewer for AXIS Camera Companion for iOS. What is an “In App Notification”? The Notification also appears in the Notification Centre. Motion Detection events are used by the camera to trigger the sending Notifications to the iOS device. 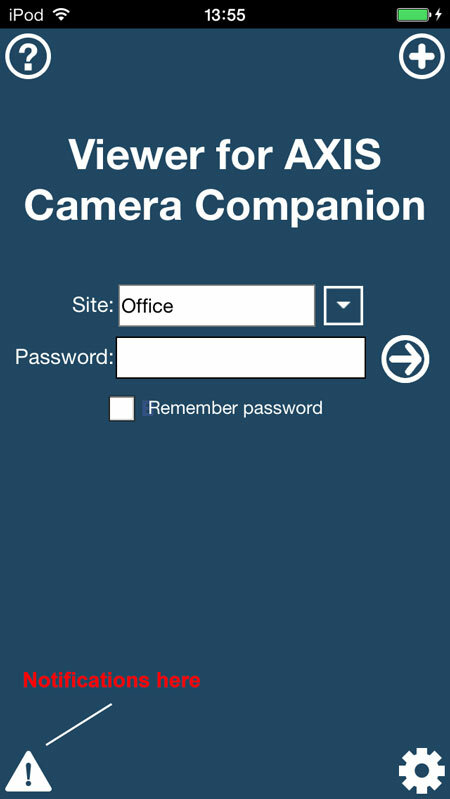 You can adjust Motion Detection settings by going to the AXIS Camera Companion PC application. For example in the PC application you can constrain the Motion Detection to occur only in a set portion of the screen. Once you have set up Motion Detection using the PC Application you can then set up Notifications using the Mobile App. In the Mobile App go to the camera you have set up with Motion Detection and select the Notifications control panel. Here you can switch on Notifications and set the times that Notifications are active. When a Motion Detection event occurs a corresponding recording is made and stored on the SD card of the camera. When a Notification is received and clicked it will open the app in the Recordings area. The Notification text includes the time that the Motion Detection event took place. You can navigate to the corresponding recording using the time in the recording name. Not all Cameras suit the Notifications service. 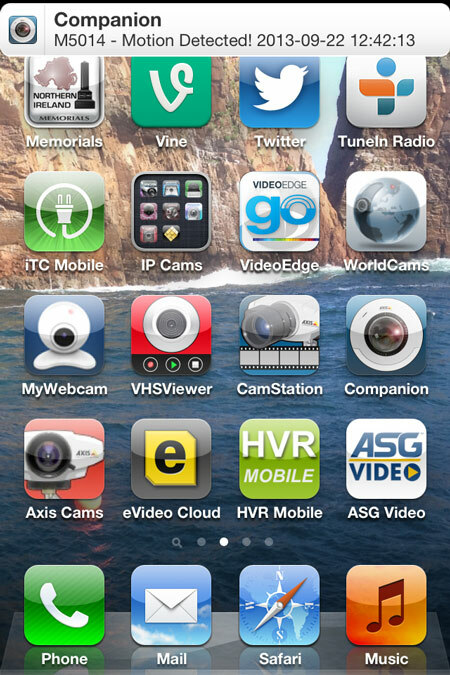 Viewer for AXIS Camera Companion Notification Service is a powerful security feature. It does not suit every camera and should be deployed with due consideration. A camera looking at a busy view (for instance a busy shop floor) is not suitable to set up with Notifications. You will simply receive too many Notifications! The Notification service should be used on camera where movement is not normal or is of specific interest (for instance the back door in the store). In this case the Notifications will be fewer, appropriate and interesting.